Marillion had attempted to reach a wider audience with a more pop-oriented album called "Holidays in Eden" which was released back in 1991. When that failed to accomplish that goal, they returned to their progressive sound with this much better album "Brave", released in 1994. Overall, this was their 7th studio album, but only their 3rd with lead singer Steve Hogarth, and the band was trying to figure out what their overall sound should be without Fish at the lead singer position. The rest of the band consists of Steve Rothery on guitar, Mark Kelly on keys, Pete Trewavas on bass and Ian Mosley on drums. The original vinyl edition, and all the vinyl reissues contain a double groove throughout side 4, which gives the story in this concept album two possibilities as endings. Even so, there is room for interpretation on the second ending, but it hints at a sad ending. The CD contained the happy ending which is the one that most listeners are familiar with, but it did not have the sad ending. However, there was a 50 minute film version released a year later, which uses the sad ending. Things start off with "Bridge" which starts off with a mostly instrumental opener. With a background of a ship's horn and such there is a sad melody established by synths and vocals eventually start staying pensive and sad. This continues into the next track "Living with the Big Lie". Continuing with the same pensive, sad sound, it eventually shifts to a major mode and the entire band joins in as the tempo increases and things become more intense, culminating in an excellent guitar solo. Things soon calm down and then intensify again. Hogarth's dramatic vocals are perfect for this symphonic style the band was shifting to. "Runaway" has more of a rock ballad feel to it, but with a more complex melody than most ballads, even though the structure is more standard than the previous track, yet it is still heartfelt and lovely. "Goodbye to All That" is a 5 part suite which chronicles the main character's fall from grace. Starting with the slow section called "Waves" we get a short introduction, but this soon morphs into a darker and much heavier track with "Mad". Hogarth's vocals exude chaos and insanity and the guitar solo reinforces that. Things calm as we enter the next section called "The Opium Den" as the keys take over along as a echoing guitar plays softly along and whispered vocals try to soothe. Things get a bit psychedelic and disjointed after a while as the music floats along and subdued vocals continue with occasional effects. A quiet percussion pulls things back together and eventually brings the music back to the surface. A wild guitar effect represents "The Slide" subsection, and then the final section "Standing in the Swing" consists of electronic piano and vocals. After a while, intensity builds again for a climatic ending, which actually flows into the next track. "Hard as Love" begins as a more straightforward rocker, but still a very emotional, yet heavy track. The middle section slows quite a bit and becomes pensive with keys, soft guitars and mellotron. This builds again becoming even more intense this time culminating in a great organ solo. "The Hollow Man" is a slow piano/vocal ballad. Halfway through it is joined by soft percussion, mellotron and guitar. "Alone Again in the Lap of Luxury/Now Wash Your Hands" starts immediately with the full band in a mid-tempo track. The first section is quite straightforward with nice harmonics on the chorus, but there is a blistering guitar solo on the instrumental break. Things intensify a bit after another verse for an extended guitar solo. The 2nd section is more atmospheric and fairly short and a small vocal section ends the track. "Paper Lies" is a sudden upbeat track and is another straightforward rocker that could have been an accessible single as it sounds quite radio friendly. The tempo slows on the bridge but picks back up again. "Brave" comes directly off the high of the previous track starting with a sustained keyboard drone which is joined by a celtic sound. Vocals start with a more pensive atmosphere and a beautiful melody. There is a change in the feeling at the halfway point of 4 minutes as the keyboards bring in different textures and sounds and things brighten up. Voices and laughter ring out in the background as an echoing vocal floats over the shimmering synths. "The Great Escape" begins with a more melodic vocal and soon the band and vocals swell to an emotional and dynamic track in the first subsection called "The Last of You". Another great guitar solo strengthens the power and emotion of the song. The 2nd subsection "Fallin' from the Moon" has a stately feel as it gives the impression of resolve, but it seems to end quickly. "Made Again" is the last track, at least for the happy ending and the original CD. Beginning with a brighter sounding vocal and a lone guitar, after 2 minutes, things turns even brighter as acoustic guitar establishes a rhythm and there is a theme of rebirth and cheerfulness. On the vinyl edition, the 4th side features the 2nd groove that gives you a sad ending to the story to the album where the main character makes the decision to end it all. "The Great Escape (Spiral Edition)" has a more dramatic and darker sound than the first ending and the vocals are angrier but turn sad and dark in the end. On the vinyl after this, there are 6 minutes of water and wave noises, while on the re-issued CD version, there is only 1 minute of the sound effects which fades for 26 minutes of silence. If you persevere for that long silent break, you get to hear a goofy version of Joplin's "The Entertainer" with the band joking around. 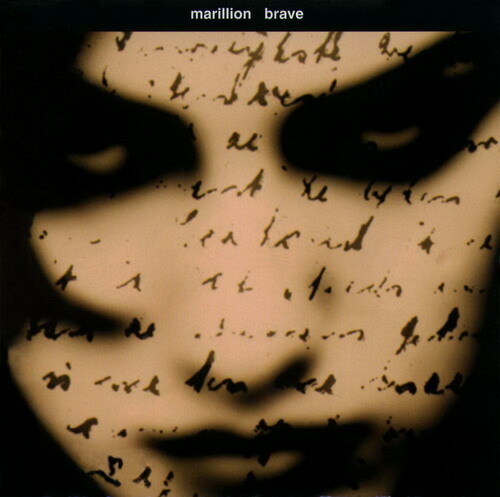 To the date of the release of this album, this was the best Marillion album to follow Fish's departure. Hogarth proves his ability to sing emotional and complex vocals and the band proves they can pull off making an album that is both progressive and accessible. There are sections that do lack progressive moments and are quite straightforward, but there are also tracks with progressive elements, so most everyone is happy in the end. The story is also powerful and well presented in the lyrics and the emotion of the entire band. Still, it's not a perfect album, but it is definitely excellent with many high points and it shows that Marillion still has a creative edge, however that would disappear and reappear in the years to come.